Sometimes there is nothing quite as comforting as sitting down with a cup of tea and a couple of squares of chocolate. It isn’t something that I often do but when I do it feels like the world around me has paused and everything is that little bit more calm and joyful. I will admit that Marks and Spencers was never really a place that crossed my mind for chocolate but obviously in hindsight it makes a lot of sense that a store like that could pull off some quality bars. My friend kindly gifted me this quad of flavours but there is a good chance I will be taking a visit in there soon to acquire a few of their other varieties. 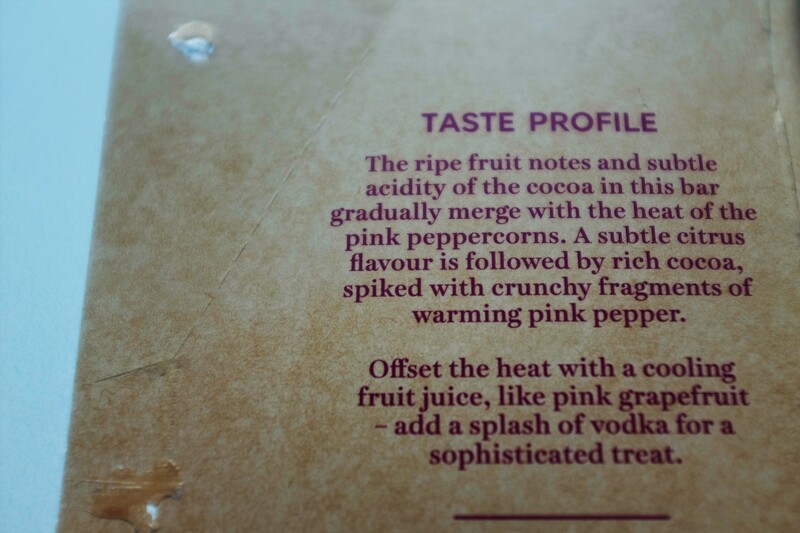 Each of the bars has a little tasting note guide on the inside with recommendations as to what the chocolate would be paired well with. These suggestions could be a drink to sip with it or with a food item that you could layer them with or make into one incredibly yummy dessert. The dark chocolate with raspberry had a really clear texture of tiny bits of raspberry in as well that could have resulted in the bar being rather rough but the raspberries fade away in the mouth, leaving a strong punch of flavour, to make for a joyfully soft, rich and also fruity balance. All of these bars were an absolute delight to eat and I would recommend any of them, depending on a person’s tastes or purpose for the chocolate, especially the white chocolate and vanilla one for a soft melting warming bar or the dark chocolate with ginger and lemon to go with a cup of green tea on a quiet afternoon of relaxing on a weekend. The ginger and lemon one was certainly my favourite because of being able to combine it with my favourite hot drink but also because the little crystallised bits within the bar gave it a soft crunch to contrast the smooth texture and delightfully rich chocolate. I am always looking for a delightful new flavour of chocolate or brand to try out so please do leave your recommendations below. 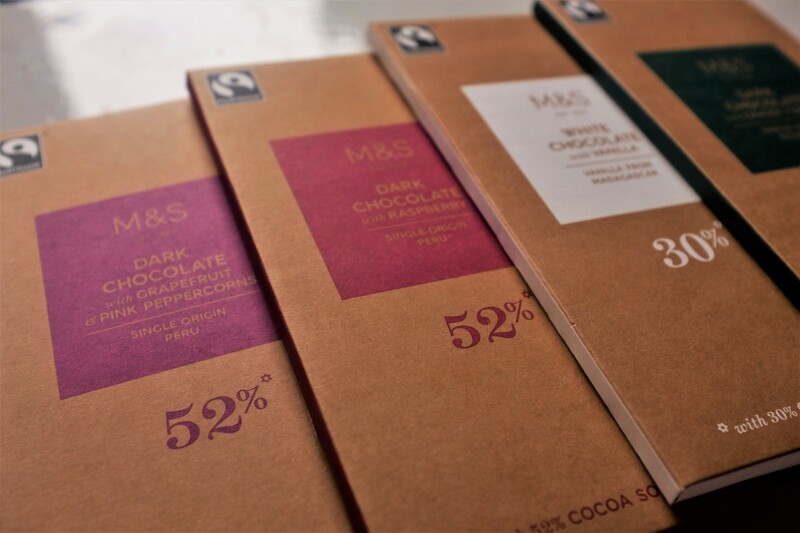 In the mean time I would highly suggest giving some of these M&S bars a try. This entry was posted in Food and Drink, Product Reviews and tagged chocolate, dark chocolate, dessert, eating, fairtrade, fairtrade chocolate, food, food blog, food blogger, food bloggers, food review, fruity, gift, lblog, lblogger, lbloggers, life, Lifestyle, lifestyle blog, lifestyle blogger, lifestyle bloggers, Marks and Spencers, pamper, present, product review, pudding, scented, selfcare, spicy, sweet treat, tasting notes, treat, white chocolate. Bookmark the permalink.